Steve Clevidence (rhymes with evidence), also known as “Wulf, ” belongs to a family that has ranched in the Bitterroot Valley of Western Montana since the 1870’s. He was raised with an attitude rare among ranchers. In his words, “We are here as caretakers of the land.” And Steve means not only the land but also the species that inhabit it, including predators. Hunting in his family is done only to put food on the table, unjustified killing is unacceptable. Steve’s elders taught this from the onset, and he absorbed this lesson and is determined to do his part to reduce the unnecessary destruction of that iconic predator, the gray wolf. I’ve known of Steve for some time. 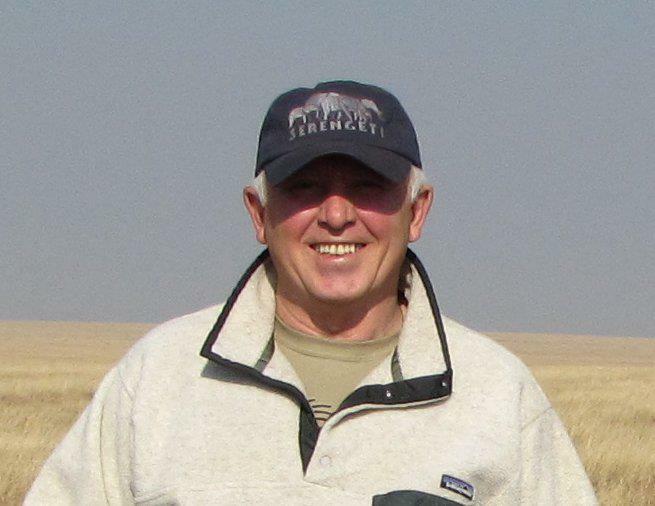 He is on the Advisory Board as a ranching and livestock consultant for Living With Wolves, a non-profit founded by the wildlife film-making Dutcher family. On a recent Facebook post Steve displayed his support for Predator Friendly Certification, a coalition of farmers and ranchers who advocate the stewardship of wild animals along with the production of their livestock and other products. This type of certification is an interest of mine so I called Steve up and asked him some questions about it. Of course, when wolf supporters talk there’s a lot of ground to cover, so occasionally, we wandered off topic into other facets of wolfdom. Steve told me that the Predator Friendly certification program is showing positive results in encouraging human coexistence with wolves and other predators. However, in order to do this, livestock producers “gotta quit being lazy.” Steve went on to explain that simple changes in management practices can make a lot of difference, such as feeding cattle in the evening rather than in the morning as this tends to cause them to bunch up, making them a more solid force against predators in the dark hours, when most predation occurs. Getting cattle to act more like buffalo generally keeps them safer from natural predators. He also shared that donkeys kept alongside cattle will bray a loud warning, one that alerts ranchers as well as scares off predators who hasten to put miles between themselves and the strange, obnoxious noise. Large-breed dogs, such as the Great Pyrenees, are effective predator deterrents when kept among sheep. At least two or three of these impressive dogs are needed to serve as a significant show of force. Steve spoke of the progress made with an Alberta rancher’s cooperative in reducing wolf and livestock conflicts. This innovative group of ranchers, with the assistance of Timmothy Kaminsky (also with Living With Wolves) and the Mountain Livestock cooperative, as well as Steve, has successfully implemented non-lethal methods to prevent depredation from wolves. Last year no cattle at all were lost to this group of 40 ranchers, despite the large number of wolves in the area. Similarly successful work is being done on Blackfoot land in Western Montana. 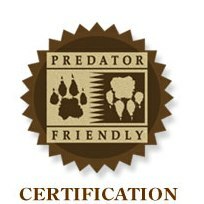 I discovered a wonderful place online called The Grazerie in High Prairie, Alberta that boasts of being the first Predator Friendly certified ranch in Canada. Steve’s optimism was music to my ears. In a world where advocates lose battle after battle in the effort to protect wolves, it’s wonderful to hear Steve say that change is occurring, even in a place like Montana. But he knows “that ranchers have to want to change” and many of them don’t. The compensation program has opened a can of worms in his estimation and it is one many ranchers take advantage of. This money could have been used for education and Predator Friendly measures, rather than handed out to a handful of ranchers who are unwilling to change. Steve is a big proponent of educating youth, believing kids need to learn the facts early on. He cites the upcoming children’s book about the return of the wolf to Yellowstone called “Running For Home,” as an example of the type of text we need to dispel the erroneous mythology that perpetuates a fear and hatred of wolves. Coming from a long line of ranchers, Steve has an in. He can walk onto a rancher’s land and speak with them from experience and empathy. His attitude is to use common sense to approach predator issues. Steve sees all sides of the conflict yet he firmly believes there are solutions that can benefit both the human and wildlife element. But he admits it takes a lot of courage to speak up against the anti-wolf mentality. He spoke of when he began to confront these forces in Montana. Because he had the guts to do this, and without showing fear, others who advocate for wolves became more inclined to stand up too. Seems it takes the courage and conviction of a few to propel a movement fraught with as much emotion and controversy as this conflict. This entry was posted in Living With Wolves, Montana Wolves, Predator Friendly Certification, Uncategorized and tagged Living With Wolves, Montana wolves, Predator Friendly, Steve Clevidence. Bookmark the permalink. At present, certified farms are: Thirteen Mile Lamb and Wool (www.lambandwool.com), Willow Spring Ranch http://www.montanaorganiclamb.com), Happy Hollow Farm (via the http://www.predatorfriendly.org “shop” page), and Wild Echo Bison Reserve (www.wildechobison.com). Thanks for writing about wolves…they need all the help they can get. They are asking WA hunters this year to report wolf sightings and numbers. I am so very thankful that there are people like you all who care so much and work so hard. My hats off to you. Below is a Facebook comment by Steve, and I’ve included a link to a recent article on Marc Cooke, Co-President of the National WolfWatcher Coalition. I am so impressed by the courage of people who speak up for wolves, despite all the angry forces around them. I wish to thank two people here. Becky for shining light on Steve for the man he truly is. Second…..Steve himself…. who flies under the radar almost all the time. Making an impact his way! Steve always has my back at wolf meetings and discussions. To talk to Steve you will walk away an realize that this man “Gets It”. This is a PUBLIC “THANK YOU” to Steve and his family…for all they do! I had an email chat with Steve a few weeks ago about their methods (for The Wolf Army) and it’s great to see ranchers not only taking a stand but acting on it and using deterrents which, time and time again have proven, are far more effective at stopping predation than killing predators (look at research done by Adrien Treves). Slowly ranchers are moving towards predator-friendly methods which is healthier for the ecosystem. Thank youSteve and Becky for this article. The more articles like this there are the more people who will b aware that there are effective methods at deterring predation.